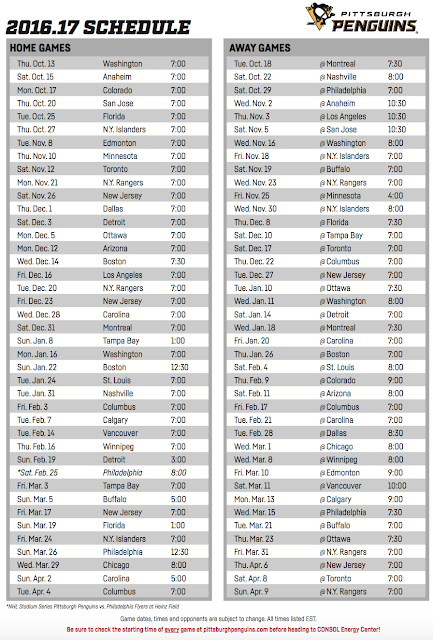 The Penguins have announced their official 2016-2017 Regular Season Schedule (see below). 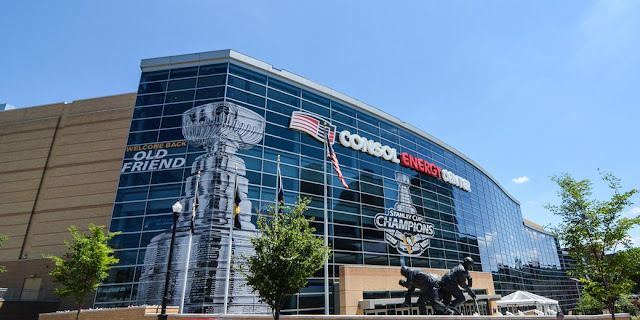 The schedule includes many interesting match-ups including a rematch of the Stanley Cup Final on Oct. 20th as well as the opportunity to see new hot-shot, Connor McDavid finally square off against the original kid, our Sidney Crosby. The season will also feature the outdoor game at Heinz Field against the Flyers on Feb. 25th. as part of the Coors Light Stadium Series. 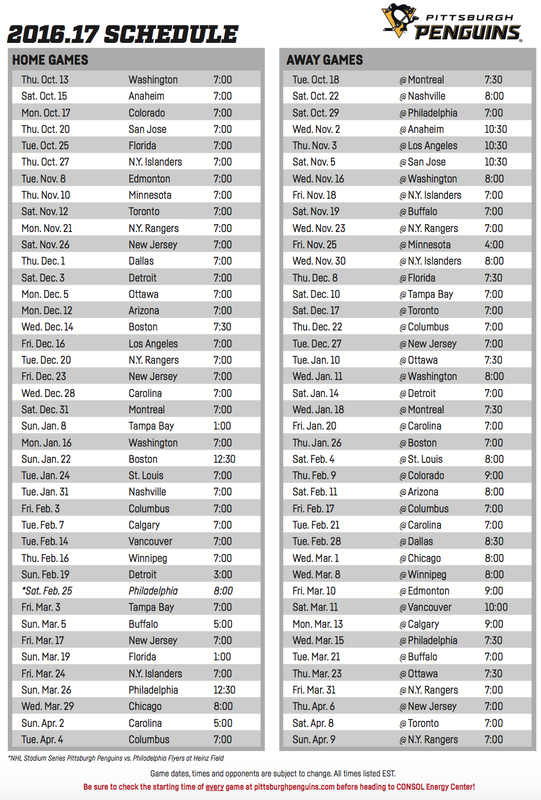 The Penguins will have 15 sets of back-to-back games. The first set of back-to-backs begin Oct. 17-18th at home against the Colorado Avalanche and then they travel to face the Montreal Canadians. Toronto will come to town on Nov. 12th (I expect a large and loud showing from fans as the Penguins remind Toronto that Phil Kessel is a Stanley Cup Champion). This is also where we could get our first look at Auston Matthews, who is assumed to be Toronto's draft pick (#1 overall). Mon. Dec. 12th will see the Penguins host the Coyotes and also marks one year from the firing of former head coach, Mike Johnson. Metropolitan Division teams that the Penguins will play five times are the New Jersey Devils and the New York Rangers (place your bets as to how many times Hank will toss the net). A "Bye-Week" (yes, like in American football) will be implemented this year and will run from Jan. 1-7, 2017. The Penguins will end the season the same way they ended the last; on the road. It begins in New Jersey against the Devils and concludes with, you guessed it, back-to-back games at Toronto. The Penguins will play the New York Rangers to end the regular season. It's a short off-season and even shorter still when you factor in the World Cup tournament for some players. Who knows what the roster will even look like come Game 1 as the draft takes place and free agency fires up beginning July 1st. It's all hands on deck and all blades on the ice as the Pittsburgh Penguins hope for a repeat Cup Championship this time in 2017.